I’ve been working steadily on the ‘Angels’ quilt. Its interesting to me how this quilt has evolved. Originally it was just an experiment with geometric squares and textures. 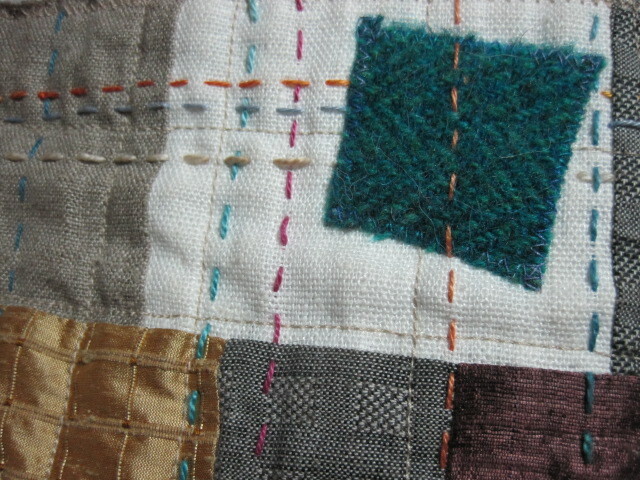 Then I machine quilted it in an off-kilter grid. 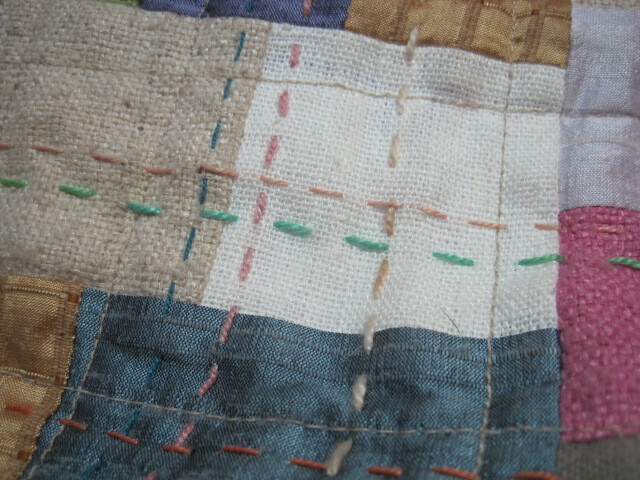 After I machine quilted the whole thing, I added the straight lines of perle cotton. 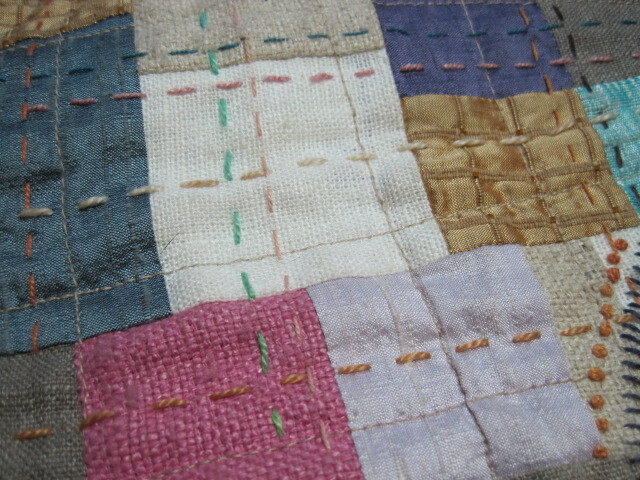 After that, I added the squares of wool that were zig-zag stitched on top. 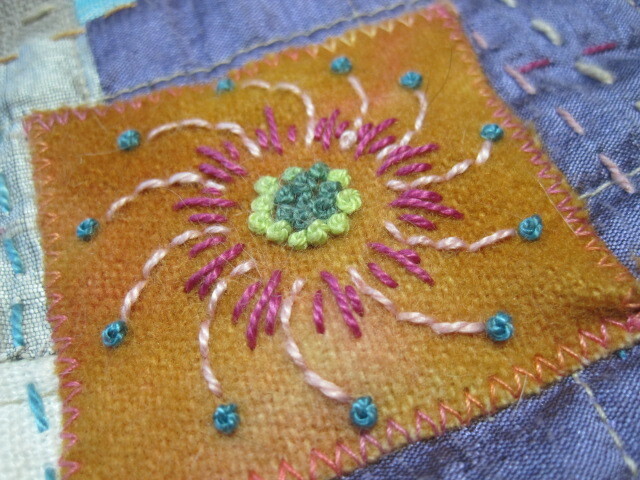 And stitched some more with the perle cotton. At this point, that was as far as I was going to go with this quilt. 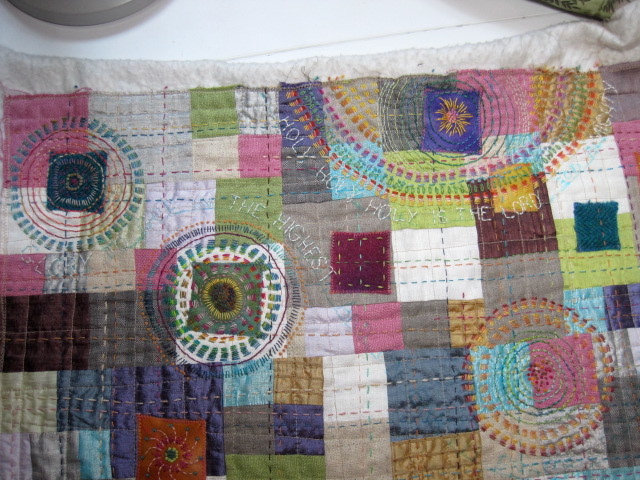 And then I took it with me to Paducah and thought ‘what if…?’ And that’s when I started adding the stitched circles on top of everything else. Usually a wool square was the center of the circle. 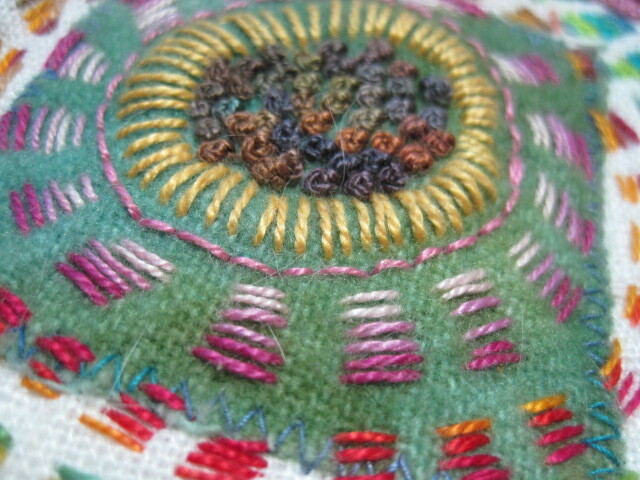 Not sure why I love this perle cotton and these circles so much, but I do. I keep my stitch choices extremely simple, as you can see. 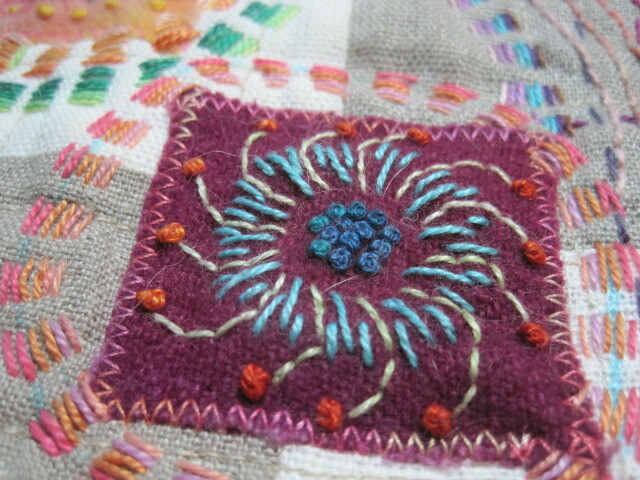 When I refer to ‘kantha embroidery’ that is the concentric running stitches. I was trying to do something a little different, and I came up with this little design. I liked it so much that I repeated it in a different colorway. I was finally finished with all the circles today, and ready to add the lettering. So you know how you kind of have an idea, but then you think–what if I ruin the whole thing by adding that??? So I drew out a rough sketch of the quilt, and figured out what angel words I wanted to add, and drew them in on the sketch, and then drew the lines (using one of those disappearing blue pens) around the circles and started stitching in the words. And it looks just like I wanted it to! Visible, but not overwhelming. I like it when the words I add do not distract from the overall design, and people have to search a bit if they want to read what is written. 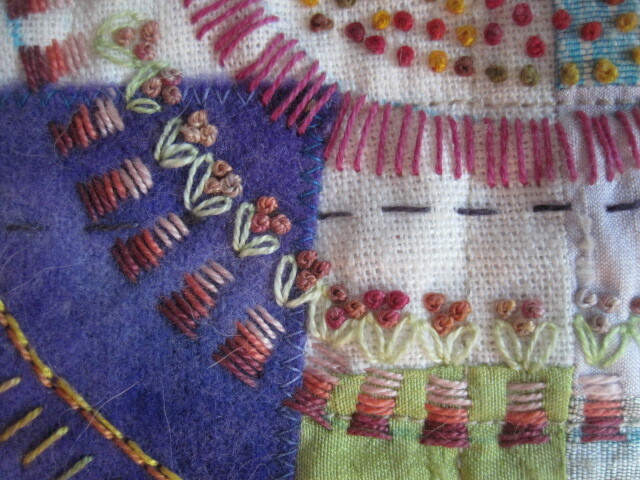 And now, its back to the chair, for a little more stitching and a little lap time for the doggies!